Chris Eyre-Walker shares his tips on capturing more than just still images and turns his hand to video. From short Instagram stories to full-blown feature-length videos that capture the experiences and vistas of a country, video has become an increasingly important way to document travel. It is said that by 2020, 82 per cent of the content we consume on the Internet will be video. It is the future after all. But it’s not only the smart, future-proof way of documenting your travels, it’s also an incredibly powerful way to tell stories and get creative. Once you understand the basics, you’ll have a whole new box of tools at your disposal. As with anything, practice is key, but these basic video tips will see you on your way to creating your masterpiece and saving your family and friends from the dreaded holiday-return slideshow. As with photography, the story is the most important part of your video. This should always be your aim. A story has five basic but essential elements: the characters, the setting, the plot, the conflict, and the resolution. These keep the story running smoothly and allow the action to develop in a logical way that makes it easier for your audience to follow. You could have the most beautiful footage in the world, but if it lacks context, it’s basically a moving version of a slideshow. My biggest tip here is to consider your story before you start filming. As you embark on your travels, you’ll find yourself searching for creative ways to tie it in together at each location. to pause and let your audience take a breath. Don’t overdo it with the camera movement – use it wisely to avoid it becoming a distraction. Essentially the motion should follow on-screen movement, reveal information or emphasise emotion. The camera is your viewer’s eye, so always consider why you should, or shouldn’t move the camera. Capturing the feeling of walking the highline. 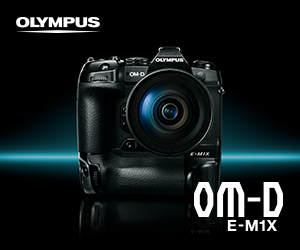 Most of the videos I shoot are done using the Olympus OM-D E-M1 Mark II and the M.Zuiko 12-100mm f/4 IS PRO for the simple reason that the stabilisation of the sensor and the lens work together. This allows me to get super smooth movement without the need for extra accessories. This means I don’t have to worry about balancing a gimbal, carrying heavy tripods or packing unnecessary gear in my bag. Instead, I can just shoot my travels and enjoy the journey, knowing I’m capturing high quality, smooth shots along the way. When it comes to camera settings, the rule of thumb is to double your shutter speed compared to your frame rate. So when you’re shooting a video at 30 frames per second (fps) then you want to be using a shutter speed of 1/60 seconds to get a natural looking amount of motion blur. If your shutter speed is too fast, footage will look choppy and unnatural. For that cinematic look, it’s always nice to shoot at a wide aperture (f/1.2 or f/2.8). This gives nice background blur and the subject becomes the focus of the scene making it easier to focus you audience’s attention on one particular thing. In order to achieve a low shutter and wide-open aperture, it’s highly recommended you use a variable neutral density (ND) filter. This will allow you to darken down the image without having to change the camera settings. Think of it like sunglasses for your camera. Moving the camera in an upwards motion creates an interesting perspective and shows number of things in one pan. I always try to think about how I would describe a scene with my words and then film those details. So, instead of shooting everything at once, I build up the story with the little details. If we use a market in Asia as an example, we think of the smells, the colours, the people, the spices, and the noise. Each of those elements may come from objects that might not seem worth filming at first, but when you put them together, they describe the story. Editing a video together is usually the most daunting stage. If you followed our first steps and established your story before you started filming, then the editing part will be much easier. Every scene you shot will have purpose to begin with and the order in which you will use them will already be determined by your story. Personally, I always like to find the music first. A good song will help me set the mood for my clip and find a pace for editing. Once that’s in place, it all comes down to telling the story piece by piece. In general, I never show a scene for longer than three or four seconds, which is enough time to give the viewer everything they need to see before moving on to the next part of your story.